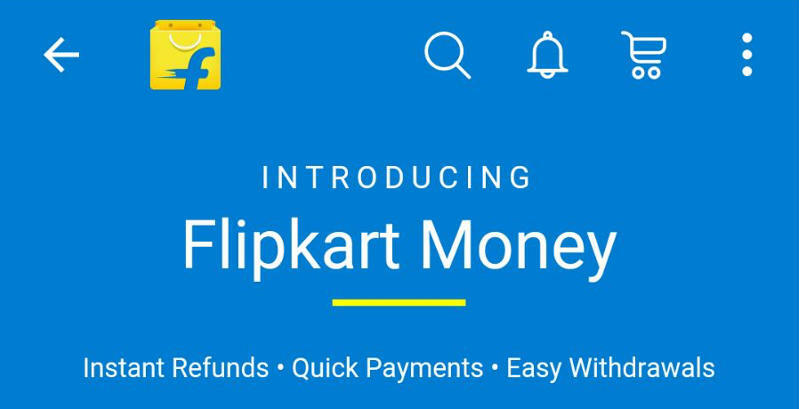 Flipkart has silently launched its wallet – Flipkart Money – powered by payments firm FX Mart on its Android app. The service is currently available only on Android for mobile devices. While the company has added the Wallet tab to its website, it is not functional beyond displaying the current balance, details of transactions, and the ability to add gift cards. The company said will be activated in the future on iOS and Windows. The launch of its own wallets service is likely to help the company issue quick refunds, users can store or save gift cards, credit and debit card details, and maintain a prepaid balance with the company. 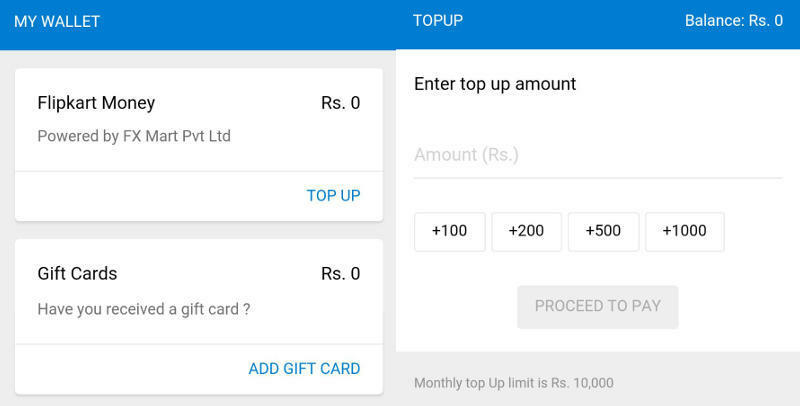 According to the FAQs listed on the website, the Flipkart Money balance cannot exceed Rs.10,000, and topups cannot exceed Rs.10,000 per month. Any transfers from Flipkart Money to a user’s bank account are restricted to Rs.5,000 per transaction and Rs. 25,000 per month. Users whose accounts are OTP verified will only have to agree to the terms and conditions of the wallet. The terms and conditions for the wallet notes that KYC documents may be required for activation, and continued usage of the wallet. If incorrect details are provided, the company has the right to cancel the user’s wallet. The integration comes five months after the company acquired a majority stake payments firm in FX Mart in September 2015, when it was reported that the company would integrate the payment service in its own platform as well as in Myntra. FXMart has been authorised by the RBI as an issuer of Semi-Closed Pre-Paid Payment Instruments. Some of the top mobile wallet players in India include Paytm, Mobikwik and Freecharge, which rolled out mobile recharging, utility bill, and DTH payments functionality on Snapdeal’s apps. FreeCharge also provides a virtual card powered by MasterCard and Yes Bank which can be used on any Indian e-commerce website.